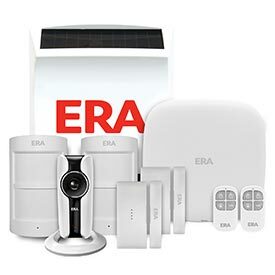 Ideal for replacing existing nightlatches. Lock body is designed with larger footprint to hide most existing marks after a replacement. Optional deadlocking or non deadlocking facility on cylinder. 3 x Keys Supplied with the lock. 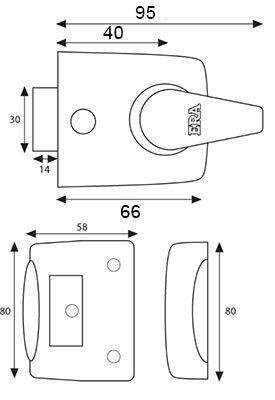 The Replacement Nightlatch Front Door Lock has a classic design and is ideal for replacing existing nightlatch door locks. The lock body is designed with larger footprints to hide most existing marks after a replacement. Nightlatch is available with the option of having a deadlocking or non deadlocking facility on the external cylinder. Accidental locking is avoided by a bolt hold back facility on the body of the lock rather than the handle. The easy grip is ideally suited for the elderly. Non handed design to enable left or right handed operation. 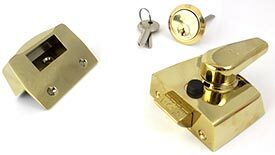 The Replacement Front Door Lock is available in standard (60mm) and narrow (40mm) sizes and in four finishes; Brass Effect, Satin, Polished Chrome and White. 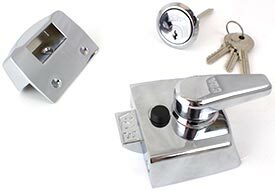 The external rim cylinder is available in brass effect and chrome finishes and is supplied with 2 cut keys to operate the nightlatch. 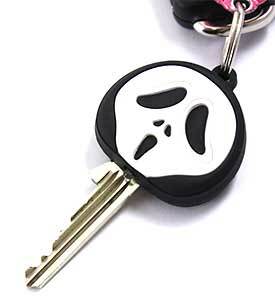 Keys can be keyed to pass or master keyed to allow multiple doors to be accessed with the same key. All finishes meet the requirements of BS EN 1670:2007 Grade 3 (96 hours) for Corrosion Resistance to provide the most robust finish for your hardware. 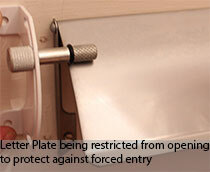 Yale Letterplate Restrictor fits by the side of your letter plate and can be adjusted to stop the plate opening to far. This will prevent access to the nightlatch back box, key fishing, vandalism and visibilty through the letterplate. Key Caps available in 10 fun, stylish designs. Each cap comes complete with an LED light to help guide the key into the lock. 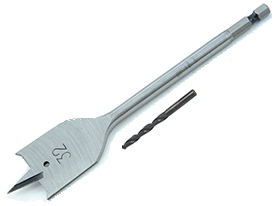 Only suitable for cylinder keys not mortice keys.